The aim of this study was to discover and elaborate a general substantive theory (GST) on the multidimensional behavioral process of coping with health issues. Intacting integrity while coping with health issues emerged as the core category of this GST. People facing health issues strive to safeguard and keep intact their integrity not only on an individual level but also as members of a group or a system. The intacting process is executed by attunement, continuously minimizing the discrepancy between personal values, personal health, self-expectations, and external conditions as health- and culturally-related recommendations and demands. Multifaceted coping strategies are available and used as implements in the attuning process. Creating an overview and a general explanation of how people cope with health challenges is difficult as the literature on the coping process is comprehensive and diverse. This diversity may be due to a profound heterogeneity in literature when it comes to the conceptual structure of coping (Skinner, 2003). Various concepts are used to explain the same complex behavioral coping processes, and no consistent structure-related terminology on coping is available (Skinner, 2003). A fragile theoretical foundation and theoretical rationale for coping-supportive clinical actions may be a consequence of this inconsistency. Several grand theories (Bandura, 1977, 1995; Lazarus & Folkman, 1984) on coping often lay the theoretical foundation for educating healthcare professionals. The ability and suitability of these grand theories to explain coping processes dealing with health issues has not been challenged in decades. Healthcare professionals are consequently challenged by diversity in the structural understanding of coping and a rigidity in the theoretical understanding. Consequently, the competencies of healthcare professionals in supporting coping behaviors, and thereby the clinical needs of understanding coping, may not be sufficiently met by using these grand theories. However, according to Glaser and Strauss (1967), moving away from “grand theories” to develop empirically grounded substantive theory gives the theory better fit while sufficiently matching clinical needs. As there is already a plethora of research and substantive theories on coping within the healthcare field, largely differentiated by medical criteria, the aim is to raise the conceptual level by offering a more nuanced explanation and understanding of a variety of substantive areas through development of a general substantive theory of coping in healthcare. Glaser (1978) referred to a general substantive theory as “more general than a substantive theory, but not completely general as a formal theory” (p. 52). Holton and Walsh (2017) referred to this mid-range theory development as “substantive formalization” (p. 22) and proposed that, “The substantive formalization of a substantive theory may be obtained through sampling different substantive groups, contexts, and/or social units within the same setting/substantive area; it increases the scope of a grounded theory” (p. 22). As such, this study of coping with health issues constitutes the first step in the process of generating a formal grounded theory on coping that could, through further theoretical sampling, be extended beyond the health domain. This general substantive theory (GST) of intacting integrity emerged from two substantive grounded theories: one developed with pulmonary patients dealing with breathlessness (Jørgensen, Pedersen, Dahl, & Lomborg, 2013a; Jørgensen, Lomborg, Dahl, & Pedersen, 2013b) and the second with patients dealing with a fast track total arthroplasty (THA) programme (Jørgensen & Fridlund, 2016). Subsequently, comparing the two theories, almost identical cores were identified: To preserve or restore integrity as a response to an integrity threat. As a main concern, people experiencing threats to their integrity when becoming ill, hospitalized or rehabilitated is a well-known phenomenon (Jacelon, 2004; Morse 1997; Randers Mattiasson, 2000, 2004; Lomborg & Kirkevold, 2005; Damsgaard et al. 2015, 2016; Jørgensen et al., 2013a; Jørgensen et al., 2013b; Jørgensen & Fridlund, 2016). What follows is an overview of our aim in this study, our study design, the emergent theoretical framework that guided our analysis and theoretical elaboration of intacting integrity in coping with health issues. Our aim in this study was to discover and elaborate a GST explaining the conceptual nature of coping with health issues. By exploring the overarching behavioral process of coping and identifying the pivotal components in its conceptual structure, we have endeavored to synthesize and reduce the heterogeneity of conceptual terminology on coping. We began by synthesizing the core categories of two substantive grounded theories (GT), both within the health domain: coping with breathlessness in daily life and coping with a fast track surgery programme. The main concern in coping with breathlessness in daily life is predominantly to preserve the physical and psychosocial dimensions of their integrity (Jørgensen et al., 2013a; Jørgensen et al., 2013b). In trying to preserve their integrity, individuals economize their resources in multiple ways. Economizing means to administer resources in an efficient and suitable manner. The criteria for the efficiency and appropriateness of the economization are coping-type-specific and depend on the focus of each patient’s integrity preservation. Individuals dealing with breathlessness in daily life may adopt one or more of four coping behaviors: overrating, challenging, underrating and leveling capability. Across the four coping behaviors, individuals experience breathlessness as threatening the physical and psychosocial dimensions of their integrity. They fear death related to asphyxiation and loss of worth as social human beings. Consequently, they focus on preserving either the physical and psychosocial dimensions, or only the dimension perceived to be most at risk of being violated by breathlessness. Their choice of preservation focus depends on their predominant type of coping behavior. Coping is a circular process comprising a cascade of physiological, cognitive, affective, and behavioral actions causing either an eroding or restoring effect on integrity due to whether or not they achieve a match or mismatch between experienced capability and actual capability. Across the four coping behaviors, six predominant and interacting strategies for economizing resources emerge: regulating level of activity, justifying existence, normalizing appearance and/ or behavior, curbing feelings and thoughts, diverting attention from the sensations of breathlessness and finally nurturing hope and zest for life. The main concern among patients coping with total hip replacement in a fast track THA programme is predominantly to restore the physical and psychosocial dimensions of their integrity that have been compromised by a low level of function and mobility in daily life (Jørgensen & Fridlund, 2016). They cope by economizing their mental resources and striving to fulfill the expectations of the fast track programme, which expresses the need for patients to be mentally proactive and physically active. In this way, they aim to regain their habitual level of function and mobility and, subsequently, their social life and self-image as active human beings. Patients adopt one or more of four coping behaviors: exceeding, protecting, challenging and accepting boundaries of capability. These predominant coping types have discriminating purposes and other physiological, cognitive, affective, and psychosocial coping-type-specific features. Coping is a circular process that causes either an eroding or restoring effect on integrity due to whether or not the behavior matches the expectations expressed in the fast track THA programme. Across the four coping behaviors, sharing knowledge with fellow patients and relying on support from relatives are important strategies in the effort to restore patients’ physical and psychosocial integrity. For the patients, economizing means administering resources in an efficient and suitable manner, so they will have the strength to restore their integrity by regaining their habitual level of function and self-image. Substantive formalization is the process of raising the conceptual level of a substantive GT to a GST (Holton & Walsh, 2017). To raise the conceptual level, we synthesized the two core categories as intacting integrity and proceeded by following Glaser’s (2007) advice on generating a formal grounded theory (FGT) by modifying and saturating the synthesized core through theoretical sampling and constant comparison of empirically grounded literature on coping within the broader substantive area of healthcare. In accordance with classic grounded theory (Glaser & Strauss, 1967; Glaser, 1978, 2007), the process was paced and facilitated by continuously memoing. Synthesizing allowed us to proceed to theoretically sample for both preserving and restoring integrity as subcore categories of the overarching core, intacting integrity, thus continuously challenging the fit of all three concepts and their interrelations through constant comparison and writing of memos. A systematic literature search in selected databases was performed by a research assistant and two research librarians (See Figure 1). In the process of excluding studies not focusing on coping with health, the reference system “Refworks” was used. A variety of criteria of inclusion and exclusion inductively evolved in this review process. Criteria of inclusion were studies dealing with health across age and gender. Furthermore, studies dealing with health focusing on education of healthcare professionals, divorce, and dental health, participants with intellectual disabilities, research methodology, and development of IT solutions were excluded. As illustrated in Figure 1, a total of 1361 studies were identified. Removing duplicates, this literature search produced 1210 studies. We further excluded 70 references constituting books, dissertations and congress abstracts, leaving a total of 1140 references. Based on the titles not revealing issues of coping in relation to health, 519 studies were excluded. The abstracts of the remaining 621 studies were reviewed and assessed, and consequently further 40 studies were excluded not dealing with coping. Furthermore, 10 intervention studies were excluded due to their focus on evaluating an effect and not exclusively dealing with coping. Developing a theoretical explanation of the overarching behavioral process of coping was possible after first reading 571 abstracts and subsequently the method and result sections of 131 studies. Health domains dealt with are within the somatic, psychiatric, social, and cultural areas. Throughout the process of reading the abstracts and the results-sections, several new hypotheses on coping emerged including concepts, features, and conditions constituting different hypotheses on the conceptual structure of coping e.g., some studies indicated that coping with cancer held a kind of a transitional process altering values and personal goals relating to integrity. This knowledge generated new memos on questions such as: Does our integrity develop? Do people alter their integrity when facing the risk of health problems? What are the possible trigger points for the alteration, and how do they do it? Intacting integrity, as a GST, clearly constitutes a complex existential and behavioral process. The conceptual structure of coping with health issues is illustrated in Figure 2. Due to the fear of physical and psychosocial impairment and death, integrity is always at stake when people face health issues. Integrity suggests a sense of being whole with identity based on and changed by personal values, health, self-expectations and external conditions related to health or culture expressed in health demands and recommendations. Integrity is not a steady phenomenon but continuously modified as necessary in meeting health changes. Regardless of health state, people face the risk of their own physical, mental and psychosocial impairment, including death. The main concern in coping with this threat is to safeguard the intactness of integrity, which is a continuous transitioning process. This intacting of integrity is executed by attuning or minimizing the discrepancy between personal values, health and expectations of oneself and external conditions. Hereby, people preserve, restore, regain, reinforce and reorient their integrity. This attunement is achieved using a variety of coping strategies. Depending on the degree of success with this attunement, people experience either a match or mismatch between personal and external values, expectations and conditions, creating a safe-guarding or eroding effect on integrity. This process is experienced as continuous and circular when an individual is facing health issues. A detailed explanation of the emergent theory including the conceptual structure of coping is provided in the following section. When facing health challenges, intacting integrity sustains a sense of whole and identity based on and changed by personal values, health and self-expectations, and external conditions related to health and culture (e.g., ethnicity, religious, and spiritual orientation). Thus, integrity is also culturally understood, explained, and dealt with when it comes to health. A variety of health challenges exist. Integrity is not a steady phenomenon but is continuously modified in meeting these different health changes, if necessary. As such, integrity is a dynamic phenomenon that changes and transitions at the individual, group, and system levels and poses possible discrepancies between integrities when facing health issues. However, an unaltered integrity is not essential. It is more important to achieve a feeling of match between personal values and external conditions such as recommendations and demands of the society, healthcare system, and health programme etc. Facing the risk of acquiring or having health problems constitutes a threat to one’s integrity due to the risk of impairment. The impairment may be related to and involve a variety of areas or dimensions including physical, mental, psychosocial, economic status, and spiritual well-being. The predominant threats may include the risk of having a disease or impairment, the degree of disease or impairment, and the treatment as well as a range of impediments including physiological or socio-economic impediments, stigmatization, or environmental impediments. Physiological impediments are fluctuating phenomena and as such a fluctuating threat. Chronically ill patients’ perceptions of their disease, for instance, depend on the fluctuating degree of their disease. The same effect of fluctuation seems to exist when it comes to treatment. Consequently, how aggressively people wish to be treated varies in relation to the perceived severity of the disease. This means that due to the fluctuation of the threat, the ways of intacting integrity (through coping behaviors) fluctuate as well. Socio-economic impediments, in terms of unequal access to health benefits, may also constitute a threat to integrity. For instance, financial problems can compromise a healthy and well-monitored pregnancy or treatment. The risk of the physical impairment of one’s unborn child collides with one’s expectation of being a protective mother. Stigmatization related to ethnicity and class is also a possible cause and threat to integrity in relation to health challenges. This stigmatization may impede necessary help as the stigmatized individual avoids seeking help for fear of sanctions. For instance, obese patients do not dare seek surgery or are denied surgery because of their weight. Despite reasonable recommendations, these individuals experience stigmatization due to their weight and appearance. Environmental impediments may also be a threat as a possible stressor among the chronically ill during hospitalization. For instance, the hospital environment does not always encourage patients to be active. This inactivity may reinforce boredom and inactivity, further undermining integrity for children and adults with a natural urge to be active. Trauma constitutes a health threat due to the risk and purpose of killing and harming people and their loved ones. For example, post-traumatic stress syndrome is a consequence of experiences that took place during a time of war. Often these threats interrelate through mutual influence. For instance, physical impairment due to arthritis may cause sick leave, dismissal from work and consequently reduced income, which may compromise the possibility for buying the prescribed medication or attending the best rehabilitation programme available. In countries with private health insurance, integrity of individuals, groups, and systems could be more at stake than in countries with equal conditions for the best available health practices. In this way, threats of integrity and the intacting process are also politically grounded and influenced. Furthermore, threats may emerge from health beliefs, health expectations from the healthcare system, former life experiences, prophylactic health interventions (screening, patient education, etc. ), risk reducing or risk increasing behavior, and finally religious or spiritual beliefs. Threats of integrity are evidently the prime motivator for intacting integrity in relation to health as a means of avoiding violations to integrity. The intacting process is an existential praxis with possible impact on faith, confidence, and self-efficacy in coping with expectations, demands, and challenges on an individual level. At the group and system level, the integrity of the healthcare system or a patient group may be challenged or supported in the struggle to achieve a match between personal health, values, and external health-related recommendations and demands. For instance, internal values in a group of citizens who choose not to have their children vaccinated against measles may collide with the healthcare system’s recommendation on vaccinating all children. As such, intacting the group’s integrity forms a threat to the integrity of the healthcare system. Thus, integrity can be shared and jointly threatened and safe-guarded within a family, between friends, social groups, patient groups, religious-, gender- and age-groups thereby constituting a mutual intentionality. Intacting the integrity of a group or system facing health threats also intacts the integrity of the individuals involved. The integrity and its threat is shared and dealt with by a member of the group, by the group as a whole, or vicariously by others or surrogate decision makers on behalf of the group. Professional groups such as nurses or social workers will fight for protecting the integrity of chronically ill children, adolescents, or prostitutes. Thus, threats to the integrity of others appear to generate empathy and compassion facilitating an urge to contribute to the intacting process without actually experiencing the integrity threat. Additionally, the integrity of a system and its recommendations and demands may support an individual’s process of intacting integrity, as the person’s beliefs in the integrity of the system creates a sense of being safeguarded through information, screening for diseases, treatment, care, and rehabilitation and thereby also reduces a potential or factual health threat on a personal level. As a result of the existence of integrity on an individual, group and system level, intacting integrity involves several agents on several levels. The integrity of the individual may be safe-guarded by the individual, a group, or a system. Likewise, the integrity of a group and a system may be safe-guarded by the group as a whole, an individual member, or a system. In this way, reciprocity exists in the attuning process between the individual, group and system. There are several trigger points for intacting integrity. The most predominant trigger point is the discrepancy between personal factors such as values, health status and self-expectations and and external factors such as, health-related recommendations and demands. For example, the discrepancy could be between the self-image of being active and participating in life outside the home and personal health conditions such as pulmonary impairment not complying with living on the 4th floor. The physical and psychosocial dimensions of integrity are the dimensions most at stake when facing concrete health problems, or the risk thereof. Those who have the ability to attune their values and needs to their own capability and external conditions appear to be most content with their lives when living with a potential or tangible health problem. Intacting integrity is executed through different modes depending on how the integrity is compromised or perceived to be at risk. Minimizing discrepancies is accomplished by changing inner values, self-expectations or external conditions as health-related recommendations and demands. People facing health issues try to intact integrity through various modes i.e., preserving, restoring, reinforcing, regaining, and reorienting integrity and/or external conditions with intacting achieved through an attunement process. These modes are used to secure and intact integrity by pursuing a match between personal and external values, expectations and conditions. Intacting integrity requires either reinterpreting or reframing one’s integrity. Reinterpreting and reframing mean to change personal values, bodily, and psychosocial needs attuned to the external conditions. Whether people choose to reinterpret or reframe their integrity by changing personal factors depends on the severity of threat. For instance, patients with cancer seem to be more likely to change inner values and needs by pursuing a match to some external demands as treatments. Threats may also constitute a safe-guarding act. Medical abuse for instance, constitutes a threat to physical and mental health but may also give the individual the courage to join a group and seek acceptance among others in striving to intact their integrity. However, intacting integrity is not always achieved despite attunement. Instead, an integrity-eroding effect may be the result when it is unclear as to which dimensions of integrity most need to be safe-guarded. For instance, abusing drugs to safe-guard the psychosocial dimension of integrity and leaving the individual the courage to participate in life, may threaten the physical and psychosocial dimensions of integrity on a long-term basis. Or, for some chronically ill adolescents with diabetes, fitting in with peers who do not have a chronic disease is especially important. However, this may have an integrity intacting or eroding effect when the choice later results in neglecting special needs due to the disease and thereby jeopardizes the physiological and psychosocial integrity dimensions creating complications such as blindness, cognitive impairment, and isolation due to a medically non-compliant way of living with their disease. Especially, the chronically ill fight to intact their integrity by regaining their habitual condition as healthy human beings. However, some know they are in a process of transition due to a disease, and that it is inevitable. Whether or not this is a conscious fight varies among persons. Degree of consciousness on what to fight or what to accept, constitutes trigger points for successfully intacting integrity. With intacting integrity, people chose, more or less consciously, a variety of coping strategies as implements in the attuning process. The predominant coping strategies may be viewed as tools or resources related to intacting physiological, mental, psychosocial, and cultural dimensions of integrity. The cultural dimension also holds religious, spiritual and ethnicity elements. These dimensions of integrity interrelate; consequently, the same strategy may be used in intacting different integrity dimensions. Regulating levels of activity and changing life style habits as strategies have an impact on the physiological, mental, psychosocial, and cultural dimensions of integrity. Likewise, predominant strategies such as distraction, curbing feelings and thoughts, gaining knowledge, normalizing appearance and behavior, nurturing hope and zest for life, changing self-image, relying on and using significant others, complying with a group’s or system’s expectations, and fighting against healthcare professionals and healthcare system for dignity and autonomy are all strategies used to safeguard the intactness of the physiological, mental, psychosocial, and cultural integrity dimensions. Despite this interrelatedness, coping behavior seems, at the same time, to have corresponding characteristics to the threat in question. For instance, people experiencing threats against a religious or spiritual dimension of integrity seek to eliminate the threat spiritually or through religion with strategies derived from a philosophical/meta-physical tool box. As such, personal beliefs and culture may define the toolbox of coping strategies. For instance, believing in the philosophy of Yin and Yang, a disease is an imbalance in the body and mind, resulting in a wish to restore balance through meditation. Coping strategies may constitute barriers as well as facilitators in striving for attunement. The consequence is that the intacting process may either be integrity-eroding or integrity-intacting. However, despite an eroding or intacting effect on integrity, coping strategies always strive to intact integrity. In this sense, chosen strategies are meaningful and existentially necessary to the individual. This study has first and foremost dealt with discovering the conceptual structure of coping within the substantive area of health. While our GST of intacting integrity is not yet sufficiently developed to offer a detailed explanation and understanding of coping as a formal theory, it does offer two main contributions to knowledge: 1) The discovery of the transitional process of intacting integrity in coping with health issues; 2) The discovery of the conceptual structure of coping. The coping process, its conceptual structure, its implications for healthcare praxis, and its fitness to areas other than health, are the keystones in this discussion. Our emergent formal substantive theory on coping within the health domain offers a more nuanced understanding of the intrapersonal processes involved in coping. The theory’s core category, intacting integrity, explains the main concern in coping with health issues. Facing health issues, the individual’s integrity is at stake due to the fear of impairment on several levels within a variety of integrity dimensions such as physiology, mental, social behavior and status. This is in line with current knowledge stating that integrity may be threatened as a consequence of becoming ill and hospitalized (Jacelon, 2004; Jørgensen et al., 2013a; Jørgensen, 2013b; Jørgensen & Fridlund 2016; Lomborg & Kirkevold, 2005; Morse, 1997; Randers & Mattiasson, 2000, 2004). While the literature rarely speaks of integrity on behalf of groups and systems, it speaks more often from an individual’s perspective when it comes to health challenges; our theory clearly shows how mutual and interdependent the process of intacting integrity is within the individual and between individuals, groups, and systems. This reciprocity constitutes trigger points for pursuing as well as challenging and violating the intactness of integrity. Integrity is generally understood or described as a sense of whole and as such a static phenomenon. This grounded theory challenges this perspective and broadens the understanding of integrity as a fluctuating phenomenon and attunes personal values with external conditions and expectations. Finding that integrity is a dynamic process that challenges empirical studies inspired by philosophical and theological grand theories (Randers & Mattiasson, 2000, 2004); these authors stated that an individual’s sensitivity towards violation of integrity will change concurrently with types of threats such as diseases. This is particularly the case when the person is dependent on help related to the disease (Randers & Mattiasson, 2000, 2004). This sensitivity, especially in relation to disease-based dependency, may well merit a modification of our proposed theory although our theoretical sampling process did not provide the data to support its elaboration as a dimension of our core category. The process of modifying the two substantive theories (on coping with breathlessness and joining a fast track orthopedic program) has revealed new intrapersonal processes and broadened the area of extra-personal circumstances with pivotal influence on the intrapersonal processes. Consequently, a deeper understanding of what is going on when facing different health issues transcends age, gender, ethnicity, culture, and type of health issues or disease. The overarching conceptual structure in coping with health issues is constituted by four categories: 1) integrity-threat as the main concern, 2) intacting integrity as the core category and the way in which individuals manage their concern in coping with the threat, 3) through attuning internal and external values and conditions to produce, and, 4) an integrity-eroding or integrity-intacting effect. In nuancing this four-component structure, different subcategories with properties appear to explain the intrapersonal process of coping and its consequences for intacting integrity. Thus, coping with health issues appears to be an existential matter negotiated through a four-component process with one aim: intacting integrity. However, intacting integrity may be achieved through different modes of intacting (preserving, restoring, regaining, reinforcing, and reorienting integrity) by attunement. While our theory does not offer detailed information on the trigger points for choosing between the modes, it most importantly underlines the existential strife of intacting integrity inherent in each coping mode. This intrapersonal process is highly influenced by external factors. Noticeably, the subcategory attunement, with its properties, highlights a contested field between inner values, physiological, mental and psychosocial conditions and values, health expectations and socio-political efforts of the healthcare system. Facing the risk of impairment as a consequence of either participating in health prevention efforts, having a health problem, or knowing someone having health problems constitutes a threat against integrity. Intacting integrity makes coping an existential matter (Charmaz, 1983; Jørgensen et al., 2013; Lomborg, 2005; Morse, 1997). This means that healthcare professionals in their efforts to support constructive coping behavior should engage in an ethical, philosophical and psychological praxis in addition to the medical praxis. Furthermore, as integrity comprises physiological, mental and psychosocial dimensions (Jørgensen et al., 2013a; Jørgensen et al., 2013b), clinical praxis calls for a broad scale of necessary competencies accommodating this complex field of coping. Knowing that values, conditions, and recommendations of a healthcare system have potential influence on the intactness of integrity, healthcare professionals should be aware of how these factors may contribute to an integrity-eroding effect. As representatives of the system, healthcare professionals’ theoretical terminology and pre-understanding may have an impact on the person’s identity and coping behavior (Telford et al., 2006). In this way, dealing with health issues involves a struggle for keeping the integrity intact, and thereby constitutes an existential challenge. Integrity is philosophical, described as the vulnerable life as a whole (Kemp, 1998) in which physical, mental, and psychosocial dimensions interact (Randers & Mathiasson, 2000). It may be tempting, for instance, in health preventive efforts to persuade and convince persons dealing with health issues to choose a certain health behavior. However, established habits, either integrity-eroding or integrity-intacting, always come across as habits intended as integrity-intacting acts (Jørgensen et al., 2013; Jørgensen & Fridlund, 2016). It seems to be appropriate existential praxis, though, to support the person’s awareness of their choice of coping behavior as well as motivational factors and consequences of the behavior. Patients who try to keep their integrity intact experience a transitional process in which they may resort to a variety of coping strategies (Jørgensen et al., 2013; Jacelon, 2004; Morse, 1997). Transition seems to be a central component in the altering-process of integrity when striving for the intactness of integrity. According to Meleis et al. (2000), a person may be simultaneously or sequentially engaged in more than one transition with healthy or unhealthy consequences. This transition could support our theory, underlining the continuous attunement of intacting integrity leaving it unchanged (preserved, restored, reinforced, regained) and changed (reoriented through reinterpreting integrity) with potential for positive or less positive intacting effect on integrity. It is noticeable, however, that despite the consequence of this transitional process, the healthcare professional plays an existential role in the process by representing the social and health system. This calls for an ethical and moral praxis as well. However, it leaves the healthcare professional in a potential conflict of interests that may challenge their integrity as a human being, a member of a group or as a healthcare professional representing a system. Thus, our theory sheds light on the complex reciprocity of intacting different integrities on different levels. Modifying two substantive grounded theories on coping by using other studies addressing this topic may form the first step in the process of generating a general substantive theory (Glaser, 1978) on coping by extending data from areas other than the health domain. Even a very cursory literature search reveals that integrity of the individual, group, or system is also at stake within domains as varied as finance, management, education, agriculture, music, acting, architecture, and politics (Cowton, 2002; Cox, 2000; Hagenmeyer, 2007; Kezar, 2004; Steinitz, 1990). Pursuing a formal grounded theory of coping should therefore include the reciprocity between individuals, groups, and systems. For instance, the integrity of a company, a finance or political system may be threatened by trade-political demands securing the integrity of a working trade group. Or, the integrity of an individual may be threatened by intacting the economic integrity of a company in dismissing the individual. The conciliator or mediator in these situations may come forward as agents of intacting different levels and kinds of integrity, attuning the values, expectations and conditions between parties. Using the concept of integrity in these mediating processes may express and offer an understanding of what is at stake in such processes. Bandura, A. (1995). Exercise of personal and collective efficacy in changing societies. In Bandura A (ed.). Self-efficacy in changing societies. Cambridge, UK: Cambridge University Press. Cowton, C.J. (2002). Integrity, responsibility and affinity: Three aspects of ethics in banking. Business Ethics: European Review, 11(4), 393-400. Cox, D. (2000). Integrity and Politics. Professional ethics. 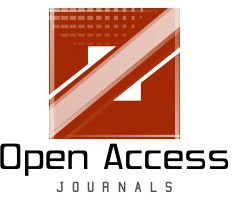 A Multidisciplinary Journal, 8(2), 31-45. Damsgaard, J.B., Jørgensen, L.B., Norlyk, A., Thomas, J., & Birkelund, R. (2015). Acknowledging the patient with back pain: A systematic review based on thematic synthesis. European Journal for Person Centered Healthcare, 3(1), 37-47. Damsgaard, J.B., Norlyk, A., Jørgensen, L.B., & Birkelung, R. (2016). Back pain – a feeling of being mistrusted and lack of recognition: A qualitative study. International Journal of Orthopaedic and Trauma Nursing, 21, 11-20. Glaser, B.G., & Strauss, A. (1967). The discovery of grounded theory: Strategies for qualitative research. New York, NY: Aldine De Gruyter. Glaser, B.G. (1978). Theoretical sensitivity: Advances in the methodology of grounded theory, Mill Valley, CA: Sociology Press. Glaser, B.G. (2007). Doing formal grounded theory: A proposal. Mill Valley, CA: Sociology Press. Hagenmeyer, U. (2007). Integrity in management consulting: A contradiction in terms? Business Ethics: A European Review, 16(2), 107-113. Holton, J.A., & Walsh, I. (2017). Classic grounded theory: Applications with qualitative and quantitative data. Thousand Oaks, CA: Sage Publications. Jacelon, C.S. (2004). Managing personal integrity: the process of hospitalization for elders. Journal of Advanced Nursing, 46(5), 549-557. Jørgensen, L., Dahl, R., Pedersen, P.U., & Lomborg, K. (2013a). Four types of coping with COPD-induced breathlessness in daily living. A grounded theory study. Journal of Research in Nursing, 18(6), 520-541. Jørgensen, L., Lomborg, K., Dahl, R., & Pedersen, P.U. (2013b). Coping with breathlessness among people with COPD: Distinct physiological and behavioral indicators. Journal of Research in Nursing, 19(4), 343-363. Kemp, M.L., & Kemp, P. (1998). Et liv der ikke dør: en bog om lægekunst og menneskelighed (A life that doesn’t die: A book on the art of medicin and humanity). 2. oplag edn, København, Denmark: Spektrum. Kezar, A.J. (2004). Obtaining Integrity? Reviewing and examining the charter between higher education and society. The Review of Higher Education, 27(4), 429-459. Lazarus, R., & Folkman, S. (1984). Stress, appraisal and coping. New York, NY: Springer. Lomborg, K., & Kirkevold, M. (2005). Curtailing: Handling the complexity of body care in people hospitalized with severe COPD. Scandinavian Journal of Caring Science, 19(2), 148-156. Meleis, A., Sawyer, L., Im, E., Hilfinger Messias, D., & Schumacher, K. (2000). Experiencing transitions: An emerging middle-range theory. Advances in Nursing Science, 23(1), 12-28. Morse, J. (1997). Responding to threats to integrity of self. Advances in Nursing Science, 19(4), 21-36. Randers, I., & Mattiasson, A. (2004). Autonomy and integrity: Upholding older adult patients’ dignity. Journal of Advanced Nursing, 45, 63-71. Randers, I., & Mattiasson, A. (2000). The experiences of elderly people in geriatric care with special reference to integrity. Nursing Ethics, 7, 503-519. Skinner, E., Ege, K., Altman, J., & Sherwood, H. (2003). Searching for structure of coping: A review and critique of category systems for classifying ways of coping. Psychological Bulletin, 129(2), 216-269. Steinitz, C. (1990). A framework for theory applicable to the education of landscape architects (and other environmental design professionals). Landscape Journal, 9(2), 136-143. Telford, K., Kralik, D., & Koch, T. (2006). Acceptance and denial: Implications for people adapting to chronic illness: Literature review. Journal of Advanced Nursing, 55, 457-464.